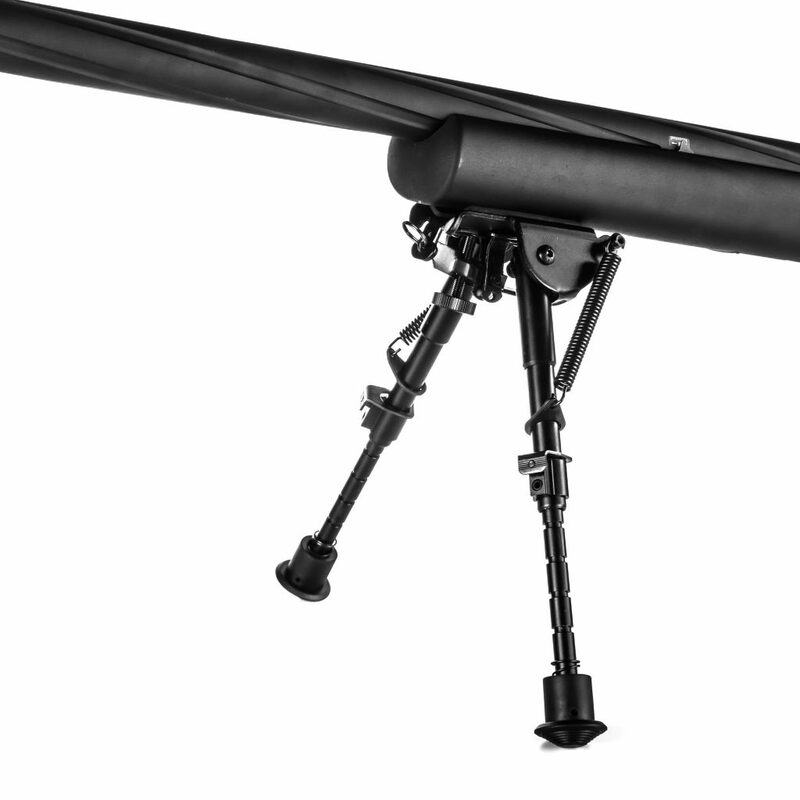 Metal harris style bipod for the NOVRITSCH SSG24 and other types of airsoftguns. 6 position spring loaded extendable legs with rubber boots. When mounted on a rail (like m4) this adapter is required. 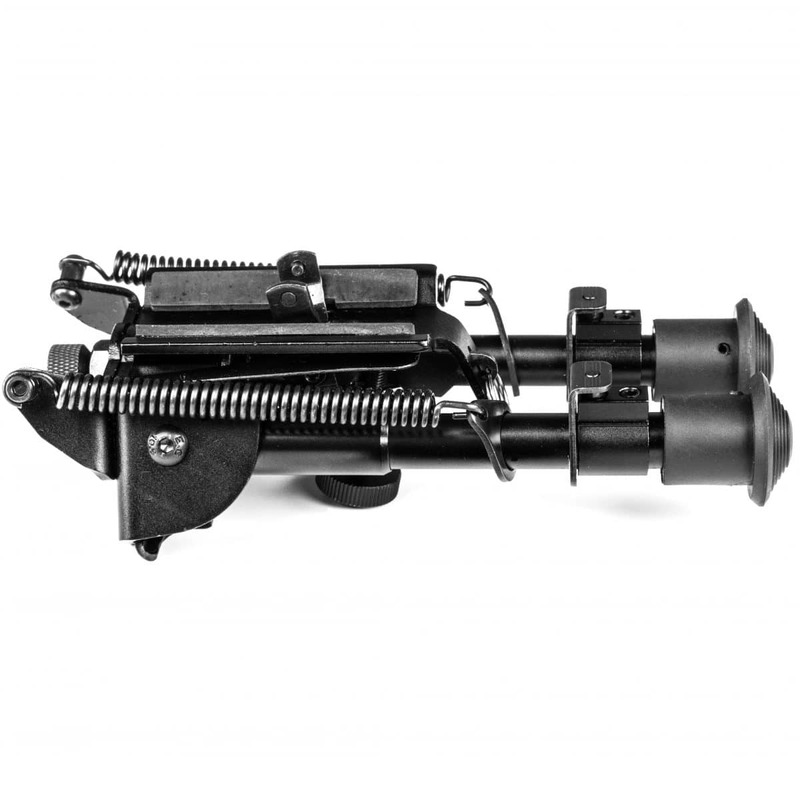 The adapter is not required for the SSG24. The spring loaded legs can be extended to 6 different positions. It's rubber boots are designed to enable a stable platform in all kinds of terrains.